The Industrial Internet of Things (IIoT) is a potentially revolutionary concept that can unlock a new era of competitiveness and economic growth. Accenture defines the concept of Industrial Internet of Things as “a universe of intelligent industrial products, processes, and services that communicate with each other and with people over a global network”. The concept of smart analytics and centrally connected devices is transforming the way manufacturers collect data and implement communication channels on factory floors. With the possibility to collect and analyze data in real-time, the focus has been shifted on how big data can be turned into actionable and effective insights. Intelligent equipment and devices are meant to upgrade production processes on your plant floor and make it smarter, reliable, and optimized so that you can increase operational efficiencies and reduce downtime. Implementing smart manufacturing solutions also enable you to expedite equipment repair through smart analytics. Whether your factory floor operates metal fabrication devices, welding cells, PLCs or sensors, IIoT will enable you to bring data together and improve the overall effectiveness of your equipment. First, it is important to understand the difference between traditional analytics and IIoT analytics. In traditional analytics, data is analyzed after it is centralized, whereas, IIoT analytics analyze data at origination stage. With a feature to monetize insights at different stages of a production process, manufacturers can optimize operational efficiencies as well as generate additional revenue. However, in order to truly materialize the power of IIoT, manufacturers have to determine why and how they can utilize IIoT and then work on converting data into applicable insights. The growing industrial capabilities and adoption of IIoT offers manufacturers with incredible business opportunities. Understanding the needs of customers, clients, and stakeholders is absolutely essential. IIoT helps manufacturers collect and apply insights from a connected network of devices to generate monetization opportunities. A study reveals that more than 70% of companies have already invested more than 20% of their technology budgets in IIoT analytics. As the IIoT is flourishing, it is expected that the number of internet-connected devices will increase dramatically. IIoT will blend together IT and operations technology and become smarter through sensors and machine application. The advancements in industrial automation and internet is driving greater operational efficiency and materializing new era of connected industrial assets. Progressive companies are moving aggressively towards implementing new technologies and using proper strategy to guide their efforts. 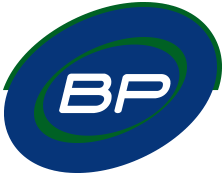 At BP Automation, we provide top-notch automation engineering solutions in Canada. Our diverse in-house team of engineers and researchers design and manufacture a range of automated machines including robotics, automated welding cells, cutting and milling, material handling equipment, measurement and quality control, to name a few. Through innovative automation technologies and capabilities, we focus on exploring not only what is possible but also what is feasible for our clients. Reach us to find out how we can improve your productivity and bottom line through innovative manufacturing and automation solutions.